With Summer just around the corner, now is the perfect time for fashion companies to strike and take advantage of the sunshine. Places will be filled with not only local people who go on vacation but also by many tourists who come to visit. So it’s the perfect time to change your entire product portfolio and make sure your branded merchandise is up to scratch! For fashion companies, it’s crucial to change their product portfolio and get the new summer collection ready as it’s time to change jackets and sweatshirts to shirts, caps and tank tops. Many tourists and residents will want to buy clothes to wear on the beach or at a summer event so it’s critical that a fashion company’s portfolio starts to change at this time. If they fail to change their collection, this will be represented in the company as large losses. So you have to think very clearly and strategically what will be the garment that will be part of the new collection for summer. Fortunately Garment Printing have a wide variety of textile products to offer that will very well meet the needs of every brand and business. 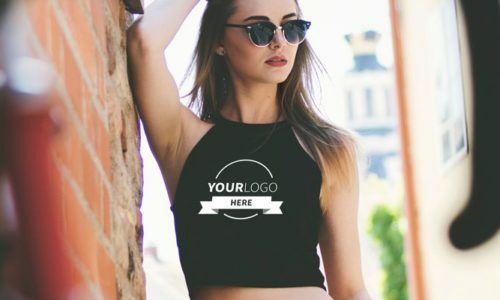 In addition to this we offer an excellent range of printing techniques allowing you to customise all the products that are part of your new collection. We fully trust our team and we can supply an innovative collection of excellent quality garments that can help boost profits. Summer is a very important time for not just fashion companies but also the wider market. If a company manages to make itself known with merchandising products in summer they will be able to expand exponentially very quickly! Fortunately, at Garment Printing we can also print merchandising products. Although our merchandise catalogue is extensive, if you can’t find what you’re looking for then call our team of friendly printing experts today on 0207 101 9315. In the case of this beautiful season and people, t-shirt printing will be very useful for this time as the sunshine means there are lots more things to do; go to the beach, concerts, theater or just sit in the local beer garden enjoying the scenery of the world. So why not attend these events wearing comfortable and attention-grabbing personalised clothes? What better way to distinguish you and your friendship group from the crowd at a concert than to all show up with personalised t-shirts showcasing a line from your favourite artist? Summer is coming so do not miss this time full of many opportunities and great experiences. Enjoy!